Basically, I just attacked a key blank with a file. 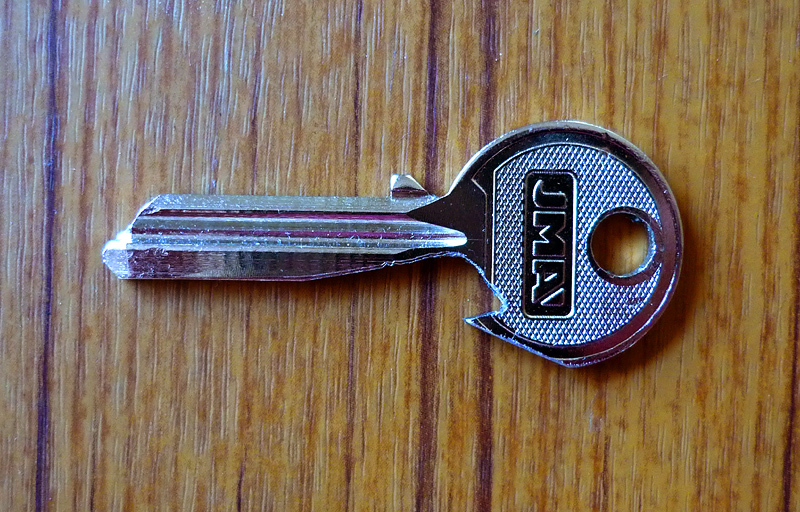 I didn’t want to use an actual key, in case I ruined it – I can always cut the key later. I had a couple of bottle openers to copy, plus a bottle of beer to make sure it actually hooked under the bottle cap properly. To open a bottle, you have to have the key under the cap, but facing towards you, and pull upwards on the keyring. It’s a bit weird, but it works.